A Study Guide to Equip Couples for Life. 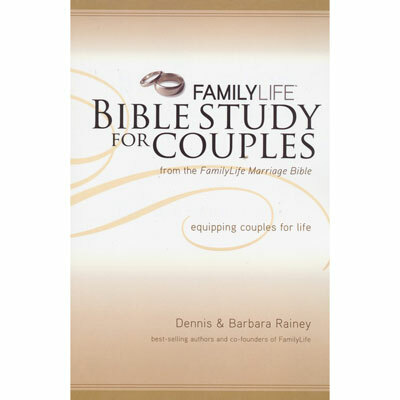 FamilyLife® Bible Study for Couples helps couples—and those who are one half of a couple—explore the issues facing husbands and wives, such as resolving conflict, communicating effectively, raising godly children, rekindling and maintaining romance together, loving difficult family members, and more. With firm biblical grounding, this seven-week study has applications for personal growth, individual reflection questions, and discussion questions for couples and small groups.